New Delhi: Lok Sabha Speaker Sumitra Mahajan has called for an all-party meeting ahead of Winter Session of Parliament, news agency ANI reported on Wednesday. The winter session will begin on December 11 and January 8. Notably, the counting of votes for the Assembly Election 2018 in five states – Madhya Pradesh, Rajasthan, Telangana, Mizoram, Chhattisgarh – will also be held on the same day. This session is the last before the Lok Sabha Elections 2019. Speculations are rife that the Opposition is eyeing to corner the Prime Minister Narendra Modi-led Central government on the issue of Ram Temple construction in Ayodhya, Rafale fighter jets deal during the session which will end on January 8. Besides, Bhima Koregaon and the Central Bureau of Investigation (CBI) row may also be raked up during the session. The government would push for the passage of the triple talaq bill pending in the Rajya Sabha. It also wants the Indian Medical Council amendment ordinance and the companies amendment ordinance to be passed as bills in this session. The government is keen on repeating the success of this year’s monsoon session, which was one of the most productive sessions of the Lok Sabha in 18 years. 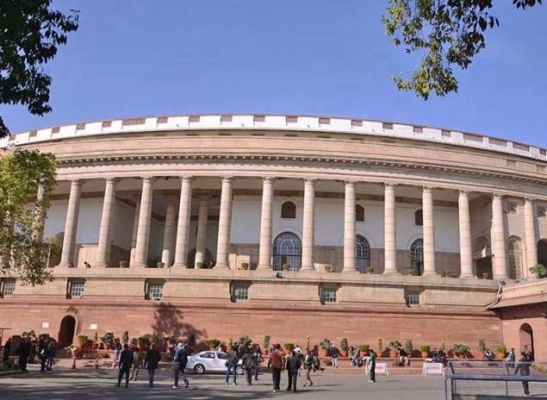 The session, which began from July 18 and ended on August 10, had witnessed a no-trust vote in the Lok Sabha and a floor test in the Rajya Sabha over the election of the deputy chairman. The Winter Session of Parliament usually starts in November. However, it would be the second year in a row when it would begin in December. In 2017, the Winter Session was held from December 15 to January 5.